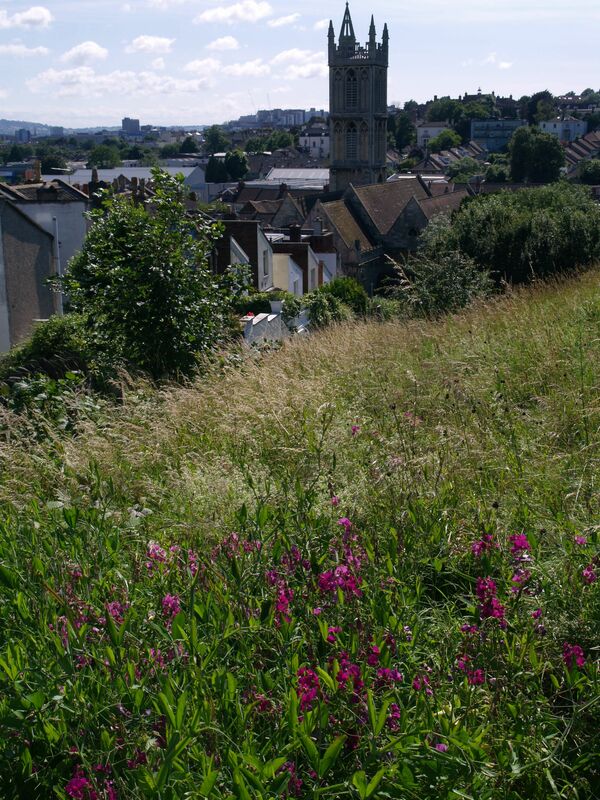 Narroways Hill is a little grassy & wooded ridge dissected by railway lines lying just North of inner-city Bristol, in the neighbourhood of St Werburghs. It has always been an open space and as the city has encroached around it, its value as a green sanctuary has increased. When British Rail threatened to sell it to developers in 1997 it caused such a reaction that 800 local people demonstrated to save it, thousands signed petitions & wrote letters and money was raised so it was purchased by Bristol City Council. It became a Millennium Green in the year 2000, with a 999 year lease to keep it free and open to the local people and allow wildlife to thrive. On 12th January 2016 Narroways Millennium Green finally became an official Local Nature Reserve (LNR). Read a poem about this place. Nowadays, the site is looked after by Narroways Millennium Green Trust, the charity set up to administer and manage the site now that it has Millennium Green status. All the work needed to maintain the site and keep it available to be enjoyed by the local community (and wildlife!) is carried out by a small group of volunteers and enthusiasts. We always welcome new members, so do come and join in – come to one of our meetings to find out what’s going on, or meet us up on the hill for one of our workdays – details under ‘Upcoming events’ on the right, and on the Calendar page. Or you can contact us and ask to be put on our mailing list – we send out regular emails to remind you of forthcoming meetings and workdays.